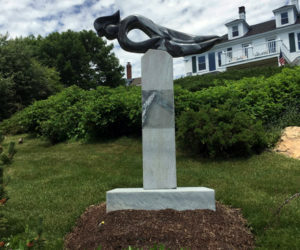 A new sculpture trail in Boothbay Harbor is drawing both art lovers and many who may have previously had little interest in sculpture. Either way, it’s hard not to be drawn in by the art adorning the lawns and dooryards of several spots in the harbor. 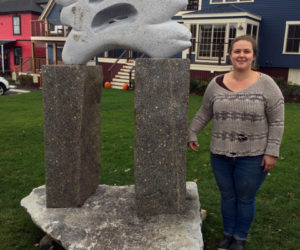 Patricia Royall, executive director of the Boothbay Harbor Region Chamber of Commerce, is the force behind the new Boothbay Harbor Region Sculpture Trail. 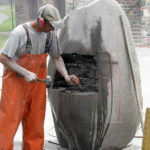 The idea began during the planning of the Maine Coast Stone Symposium, which took place at the Boothbay Railway Village last August. Patricia Royall’s cousin, sculptor Bill Royall, suggested that some of the pieces from the symposium be moved to the harbor. After the symposium, seven or eight pieces were taken to the harbor and installed in the downtown corridor. “It was just kind of a soft way to get people to see the sculptures, and hopefully get interested and curious about them,” Patricia Royall said. In January, Royall did a “call to artists” to elicit interest from other sculptors. As a result, 10 more pieces were added to the trail. Installation of the pieces began in May. The newest acquisition, “Rhino,” by Donnie Meserve, was recently installed at First National Bank, at the entrance to the downtown area. 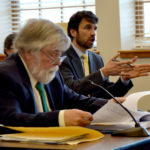 Royall said Boothbay Harbor is the first town in Maine to have an easily walkable sculpture trail. The Maine Sculpture Trail boasts sculptures from all over the world, but it takes two or three days of travel, by car, to see them all. 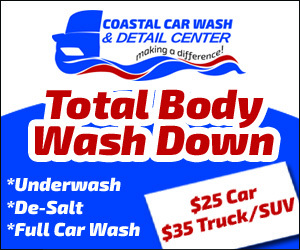 “As a chamber director, I look at the fact that people are coming in and they might do something else while they’re here, and that helps everybody,” Royall said. The trail is a boon for the artists too. While a commission is taken from sales in art galleries, 100 percent of the proceeds from the sale of each sculpture goes to the sculptor. Royall’s hope is that this policy will attract other artists to participate in the trail. The sculptures are made from a variety of mediums, including stone and metals. 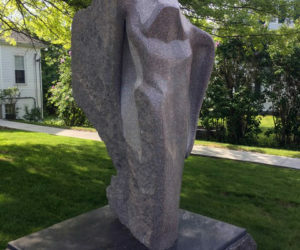 Patricia Royall said the program is modeled after the Meredith Sculpture Walk in New Hampshire, which Maine artists Andreas von Huene and Bill Royall have participated in the last two years. 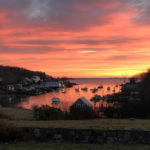 As the trail expands, Royall said sculptures will be placed in areas outside Boothbay Harbor, encouraging people to check out all the nooks and crannies of the region they might not otherwise see. 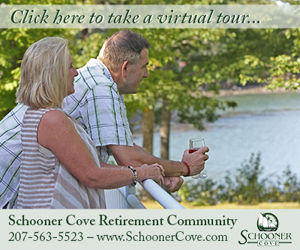 “It’s a great way to showcase the natural beauty of the region, and also take people to new places to explore,” she said. Royall said the Logans, of House of Logan, have been pivotal in the launching of the trail. 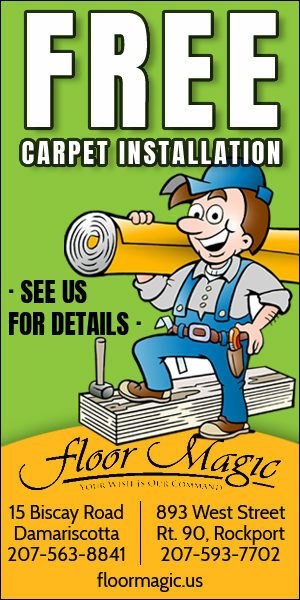 “We placed most of the pieces on their property initially. We’re really grateful to them,” she said. Excitement about the trail is building. The trail includes a sculpture of an angel, with a veil, in front of The Congregational Church of Boothbay Harbor, on Townsend Avenue. Royall said she recently found a bouquet of roses at her feet. “There have also been tokens of small rocks or other items found at other sites,” she said. “Even if people don’t really like a particular sculpture, if they stop and take some time to talk about it, it makes them interact with the sculpture, and that’s a good thing. 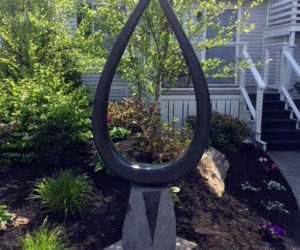 The trail begins at the Boothbay Harbor Region Chamber of Commerce and includes 17 sculptures at this time. 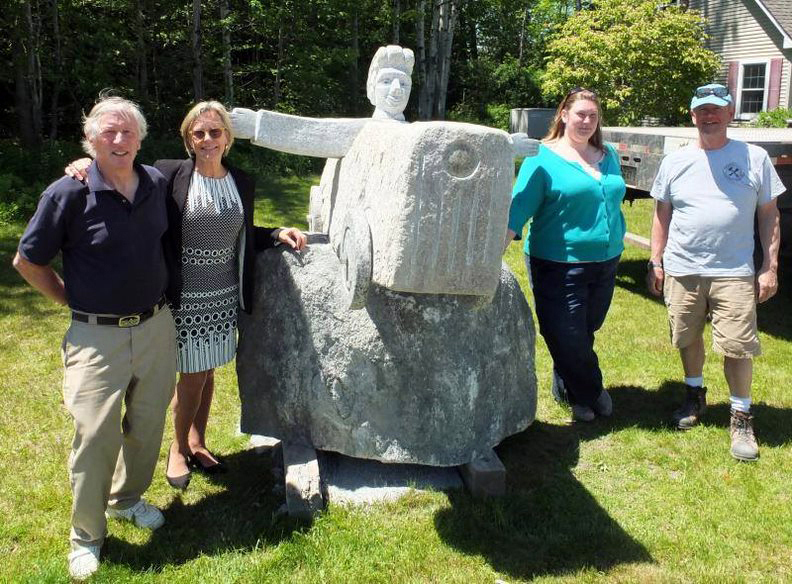 An inaugural celebration of the Boothbay Harbor Region Sculpture Trail will take place at the Boothbay Railway Village from 5-8 p.m. Aug. 11. Hors d’oeuvres and cocktails will be served, and most of the sculptors will be present. Local chefs will create edible sculptures for a chance to win a $200 prize. 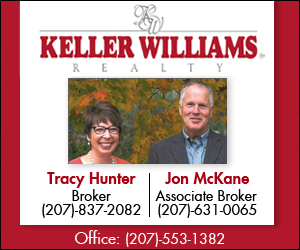 A trail map and tickets for the celebration are available at the Boothbay Harbor Region of Commerce. 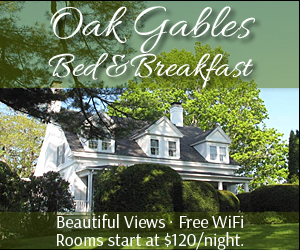 For more information, call the chamber at 633-2353 or go to boothbayharbor.com/boothbay-harbor-region-sculpture-trail. The sculptures will remain at their initial sites for up to two years.